Save nearly 15% by purchasing this Combination Package!!!! The AccuRIP Wide Format EX 7880 Combination package comes with the one program that has helped thousands of people save money on film positives for years. 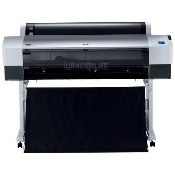 Includes AccuRIP Wide Format EX as well as all the QuickFilm INK (4 - 110ml) you will need and 2 rolls of 24" x 100' QuickFilm MAX Waterproof film so you will be up and printing right away.